एक मुखी रुद्राक्ष बहुमूल्य है, और बहुत कम देखने को मिलता है. यह भगवान शिव के आशीर्वाद से निर्मित है । जो व्यक्ति इसे धारण करता है वो हिंसा जैसे पाप से भी मुक्ति पा लेता है उस पर भगवान शिव का आशीर्वाद हमेशा बना रहता है ! On which RUDRAKSH only one line is found naturally is called one face RUDRAKSH or EK MUKHI RUDRAKSH. EK MUKHI RUDREAKSH is considered the appearance of GOD SHIV. The wearer of this RUDRAKSH even got release from the murder sin. Round shaped EK MUKHI RUDRAKSH cannot be found in much case because these are available in rare cases but also very important and so valuable. But we can find EK MUKHI half moon shaped RUDRAKSH in Bali, Java, Sumatra etc. However these types of RUDRAKSH are effective but less than round shaped RUDRAKSH but give more positive and delight full results. 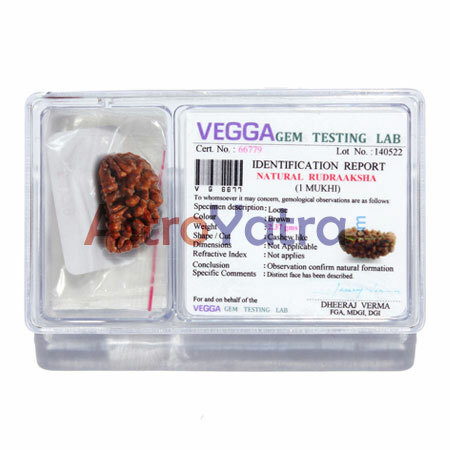 If you get half moon shaped EK MUKHI RUDRAKSH Then you will feel the miracles in a short time. 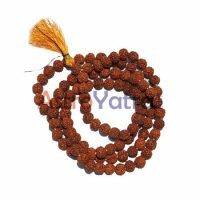 People who wear this RUDRAKSH mala always release from crisis.